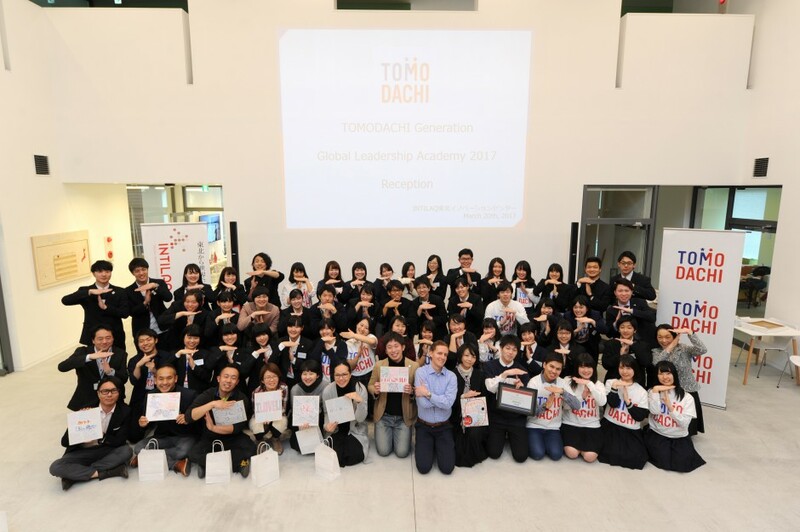 From March 18 – 20, the TOMODACHI Generation Global Leadership Academy (GLA) 2017 was held in Miyagi Prefecture, with 49 TOMODACHI alumni from Tohoku currently attending high school or university participating in workshops to nurture global perspectives. In addition, participants worked with young professional mentors to develop action plans to tackle various challenges facing local communities. This program is made possible by generous support from Bank of America Merrill Lynch. The first day started off with participants looking at a world map and discussing important issues spanning the globe, followed by a discussion on the key qualities needed by future global leaders. 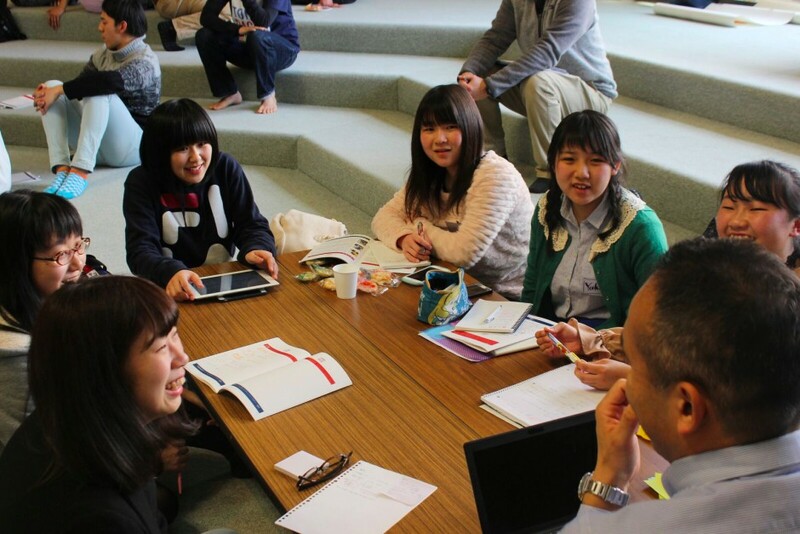 In the afternoon, the participants also exchanged ideas about their ideal leader. The Academy concluded with a voting session on the winning presentation. Team 7, which proposed a traditional crafts internship called “GTAIs,” was selected as the winning team. 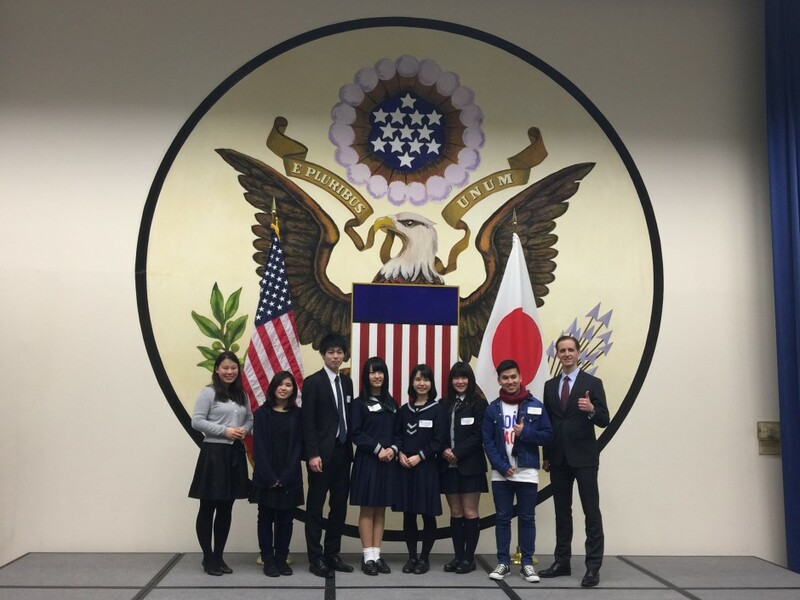 Afterwards, the team visited the U.S. Embassy Tokyo and had an opportunity to meet with Education and Exchanges Officer Gregory Aurit, who also attended the final presentations at GLA, and Commercial Attaché Yuri Arthur, whose words helped the team feel empowered as future leaders of the U.S.-Japan partnership. 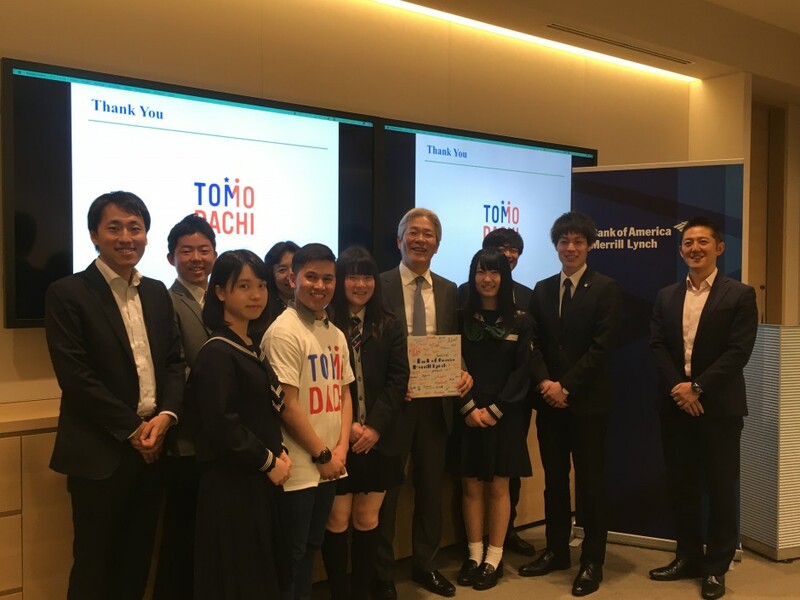 On the same day, the team also attended the debriefing session of the TOMODACHI Inouye Scholars Program and shared their experiences from their respective TOMODACHI programs.